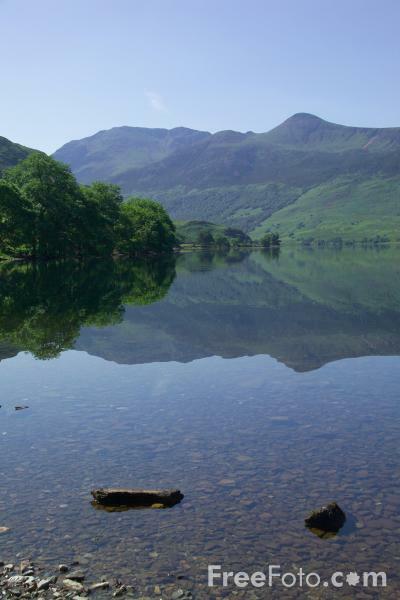 Crummock Water is about 4km. long and 1km wide.The narrowest point is at the upper reach where the rock is hardest. On the east side is Hawes Point and above this is a hill known as Rannerdale Knotts which provides possibly the best view of the lake. VIEW: More images from the category Crummock Water, The Lake District, England or taken at the same location or around the same time .